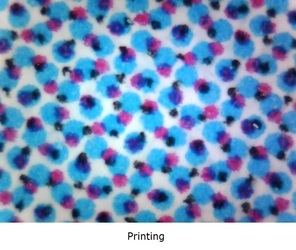 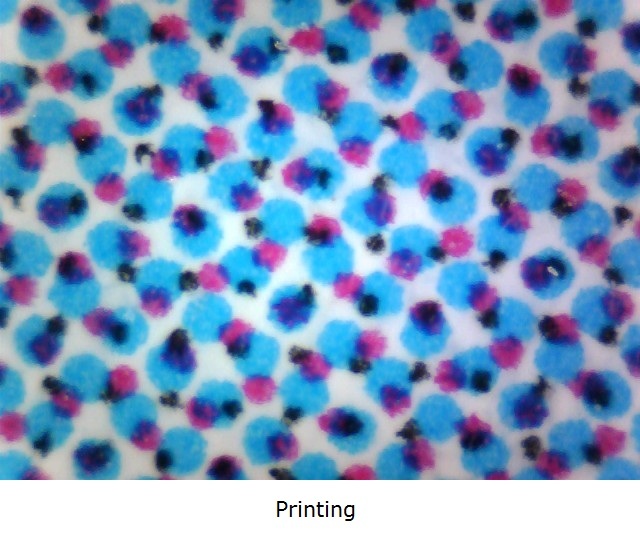 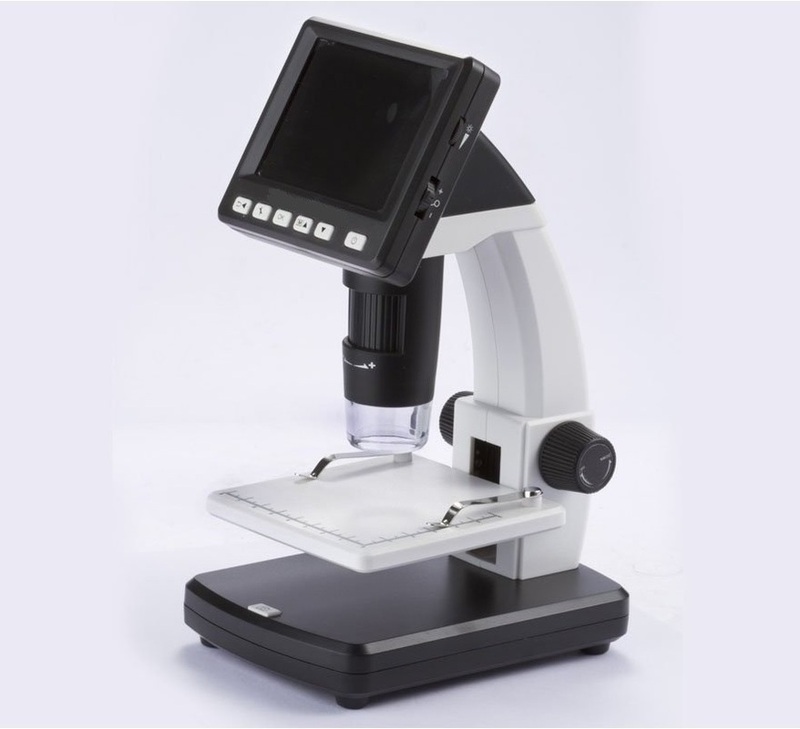 Stand-Alone 3.5-inch LCD Digital Microscope - Oasis Scientific Inc.
3.5" LCD screen with up to 500x magnification. 5M pixels resolution. 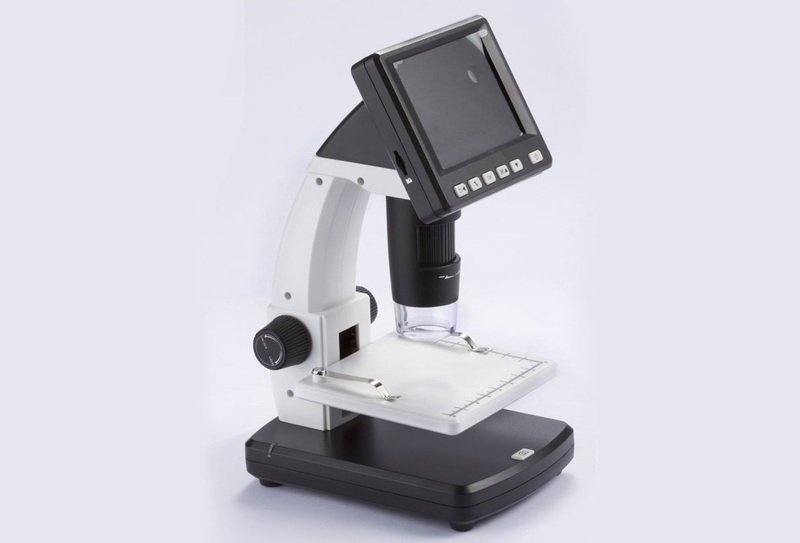 Quick Start Guide, Software CD (User Manual inside), Calibrator for Measurement Application, Cleaning Cloth. 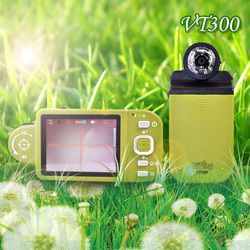 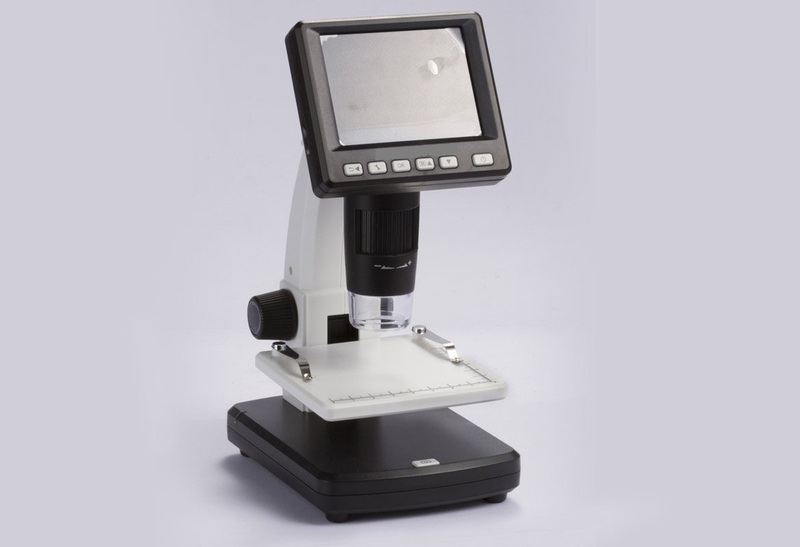 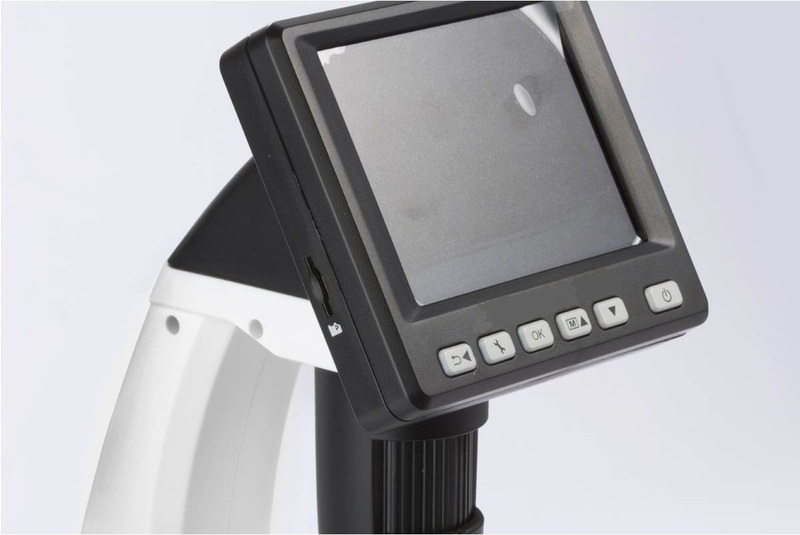 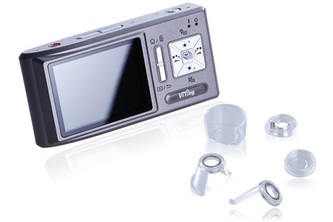 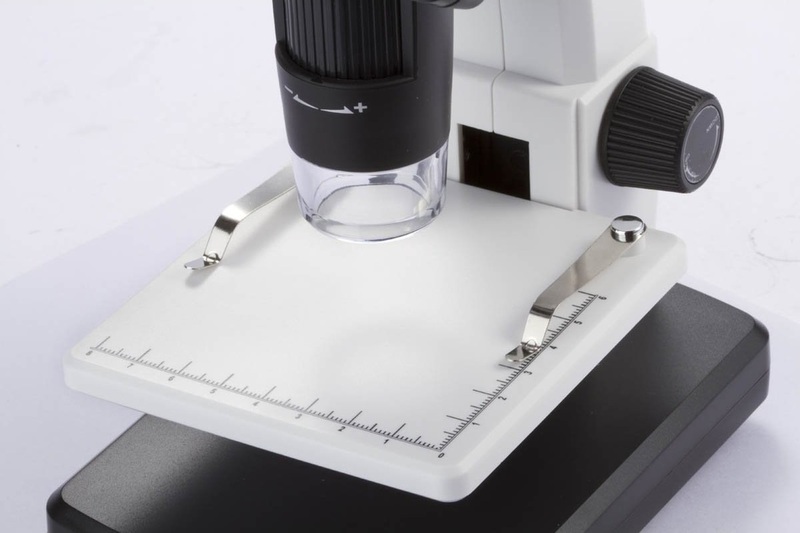 With its built-in 3.5” LCD display, this digital microscope is easy to use and does not need to be connected to a PC, netbook or laptop. 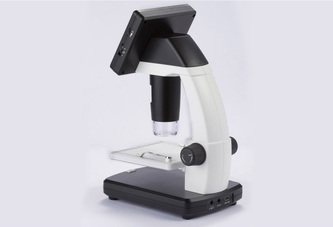 Rechargeable Lithium-Ion battery lets you to take this microscope anywhere - you're no longer tethered to a wall outlet or your PC. 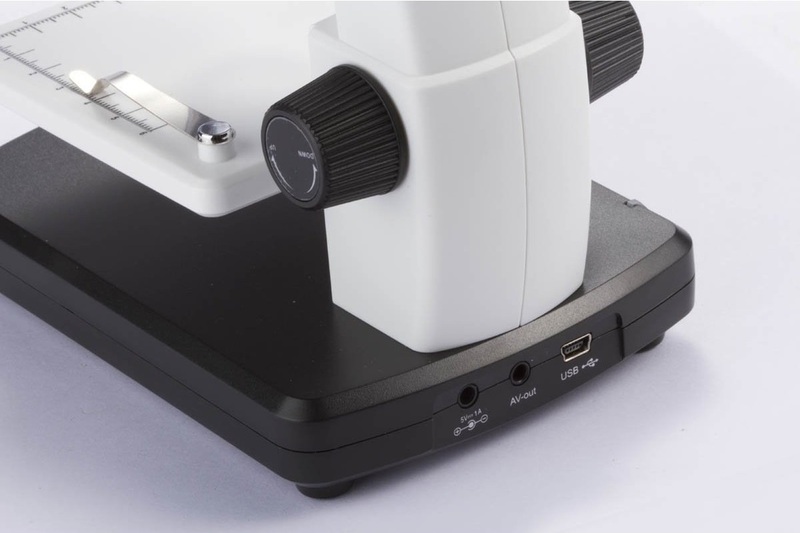 With 5M pixels CMOS sensor and eight LEDs for illumination, this microscope brings vivid crystal image, allows you to view images up to 500x magnification, take standard photos, record videos, and output on a PC or TV. The software bundled with the microscope has measurement functions. 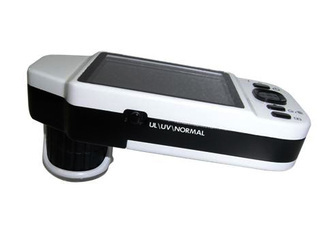 This Stand-Alone 3.5-inch LCD Digital Microscope is ideal for applications such as educational research, insect and plant examination, laboratory research, computer parts inspection, textile inspection, printing inspection, jewelry inspection, and collections/coin inspection. 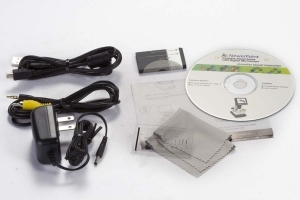 Vividia UM38 Tabletop Stand-Alone Microscope CD (Software, Manual, Setup files): Download and save the file into a folder, then uncompress and click Menu.exe to follow the instruction in the User's Manual.